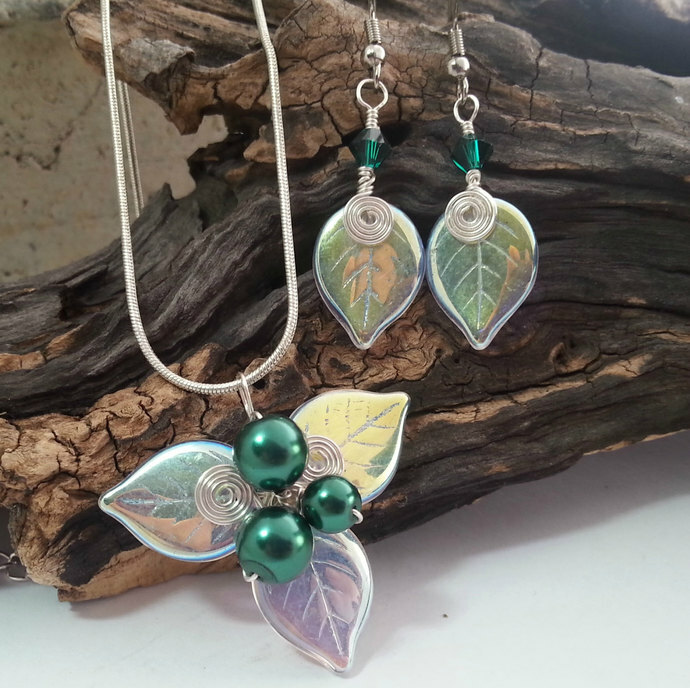 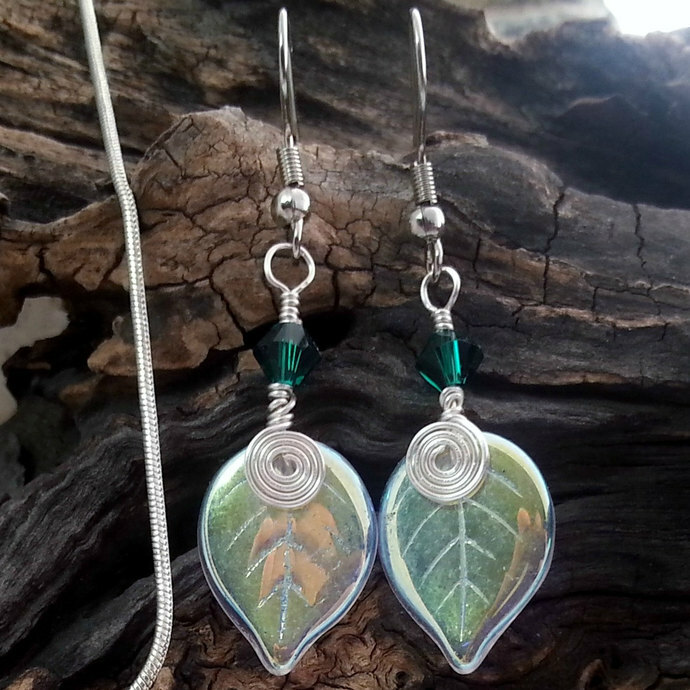 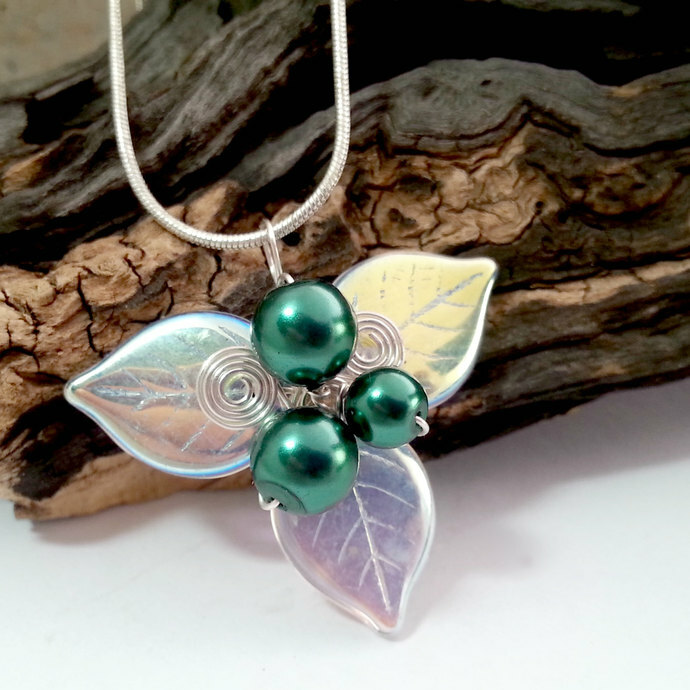 Perfect for a Irish or woodland wedding- emerald green pearls and crystals, winter white glass leaves with an aurora borealis finish and available with silver or gold wire. 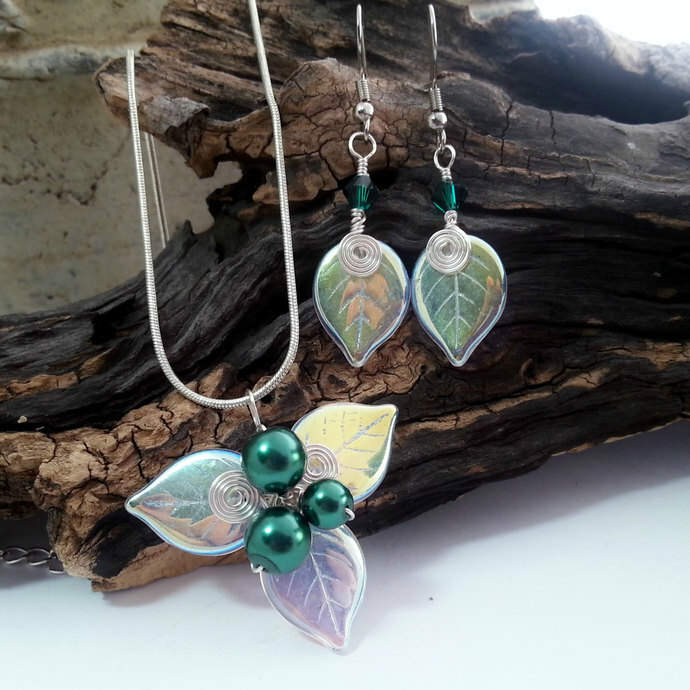 Also available with gold wire and necklace chain and/or your choice of pearl colors shown in the last photo. 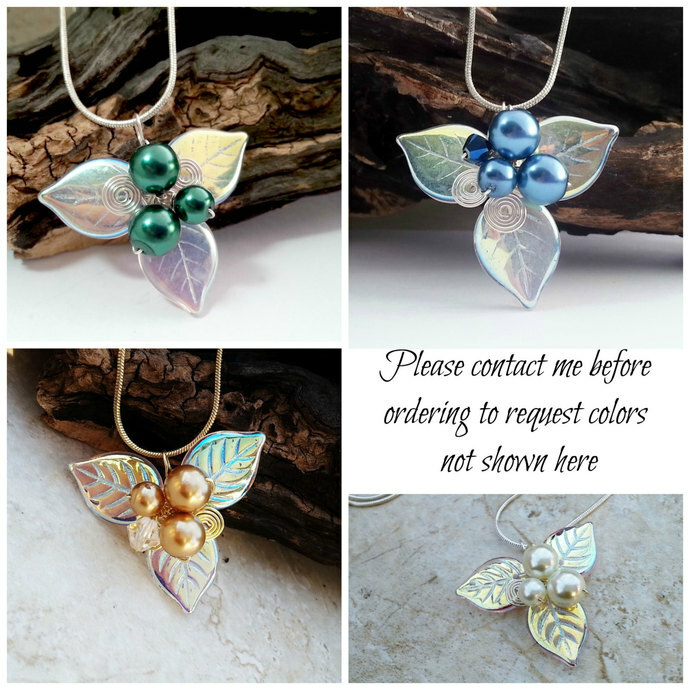 If you need a pearl color that isnt listed, feel free to message me to see what other colors I have in stock or can order for you.